Jerusalem is the single most popular place to be buried. Preferably as close as possible to the Temple Mount or the Holy Sepulchre. Resurrection will start in Jerusalem and hence those close by will be awaken earlier. The idea that a person dies, then sleeps for perhaps a billion years, only to be resurrected on the last day, raises issues on how we perceive heavenly immortality and the birth of the immortal soul. Before resurrection and Judgment Day it cannot be known whether someone will be chosen or not. That means that while awaiting end time everybody will, in fact, be dead, and the immortal soul will only be born upon the corresponding judgment on the last day. It is not so easy to find comfort in being dead for a very long time and then achieve resurrection. 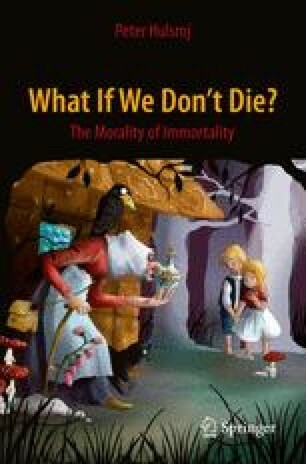 Yet, the idea shows how our quest for immortality is more about avoiding perdition that about the continuation of living. Humans tend to project earthly conditions to the beyond. But it is surely sounder to argue that life in God cannot be divined than to assume that everything just continues, but better and with a more immediate presence of God.